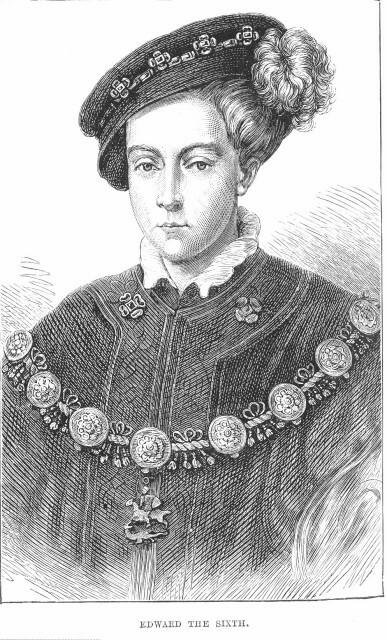 Injunctions of Edward VI to the Church of England, 1547. 1. All clerics to obey the laws against the usurped powers of the pope . 2.To preach quarterly against the usurped powers of Rome. 3.Kings supremacy preached four times a year. 4.Shall not encourage pilgrimages or hold out enticements. 6. Images to be taken down; no torches, tapers, wax images etc ; only two lights on altar before the Sacrament. 7.Every holy day where no sermon, must recite the pater noster, creed and Commandments in English to the parishioners so that they learn them. 8. All parents, masters, governors to have care for the religious upbringing of the young. 9.The Sacraments to be properly administered. 10.Shall provide within 3 months a Bible in English, and within 12 months Erasmus` New Testament; and ensure free access to the books. 11. No clergy to haunt pubs and taverns etc., nor play dice and gambling games. 12. In Lent ask all at confession if they know the Paternoster, creed and commandments and urge them to do so if otherwise. 13.All preachers to be competent and licensed. 14. If any images, idols, pilgrimages previously advised to parishioners to recant and reprove them. 15. Hinderers of worship and supporters of Rome to be detected and reported. 16. A parish register to be kept and record wedding, christening, burial; to be weekly updated in presence of wardens of the church. 17. Non resident clergy with benefice of more than £20 to distribute 1/40th part to the poor etc. 18. Every benefice of £100 or more to fund a scholar at a university. 19.Manses, churches, chapels etc to be repaired with 1/5th of their benefice until repairs completed. 20. Once a year read all injunctions made to parishioners. 21. Tithes must be paid. 22. No change to be made to manner of fasting days, common prayer or other service. 23.Churchmen to have New Testament in Latin and English, along with Erasmus`s paraphrase. ; bishops to ensure this done and time spent on reading same; services in English and readings from the Testaments made, including comfort for the sick and despairing. 24. Holy days to be that with a religious overtone; not on drinking etc. But may labour in times of need eg harvest time. 26. All deans, archdeacons, masters , prebendaries,etc being priests/ministers to preach by himself at least twice a year. 27. Qualifications on ceremonies, ringing bells, candles etc intercession banned if intention to imply discharge of the burden of sin. 28. Remove and destroy all images, and monuments that are accessories to idolatry. Encourage parishioners to do the same. 29. Provide a strong chest for collection of alms, with instructions on who and how to disburse monies. 30. Minister not bound to visit women in childbirth, or attend on deceased before the corpse brought to the church yard. 31.Simoniacal sale or purchase of a benefice prohibited. 32. Shall read the provided homilies when no sermon. 33. Use of Primers ; all graces at meals in English. 34. Chantry priests to teach reading and writing to youths. 35. The prime and hours should be omitted from any sermon or homily. Over and above these `general` injunctions, specific injunctions were given to all the bishops.